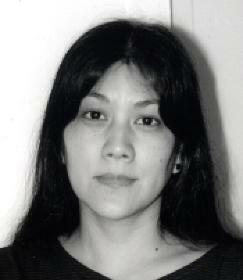 The A/P/A Studies Institute is delighted to have Tomie Arai as our first artist-in-residence. She is on of the premiere American activists merging from the political ferment of the 1960s. Arai’s philosophy and work engages the past to help illuminate the present. She has played a critical role in documenting and reclaiming a variety of people’s unheralded histories while at the same moment brings the viewer in dialogue with contemporary social struggles. Besides pursuing her own personal artistic expression, she has collaborated in all parts of the United States and beyond. For her, the process of working collaboratively, as an act bringing people together to share a creative vision, has been a fundamental facet of making meaningful art which speaks directly to people’s everyday lives. Arai’s art demonstrates the power of one person’s potential in effecting community-building. Her elegant, evocative, and ever-challenging work along with her generosity of spirit has influenced generations of activists and helped her to foster the explosion of Asian American artistic work we now witness in New York City today. Over the course of the spring semester at NYU, Ms. Arai will be installing the first show of our gallery, participating in our courses and curriculum development, and organizing public programs.